I am a Podiatrist and Chiropodist based in Newton Abbot. I offer a comprehensive range of treatments to alleviate or correct common foot disorders. Please feel free to discuss your foot problems over the phone – telephone consultations (time permitting) are FREE. Our telephone is manned by a receptionist most of the time, but an answer machine will be available for callers during out of office hours. 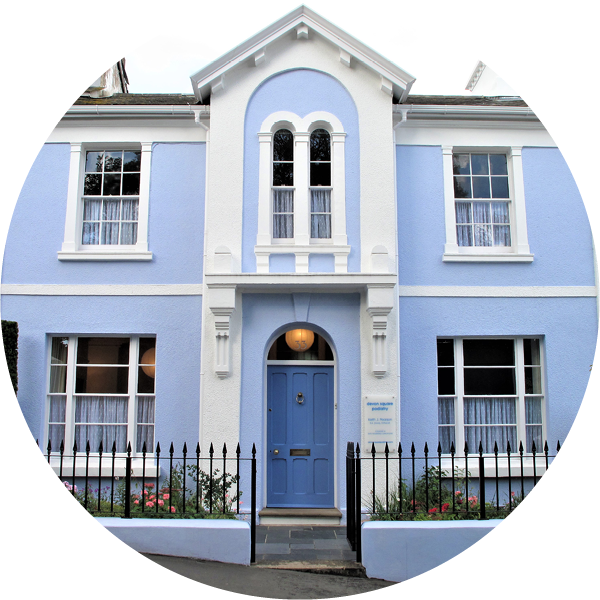 Devon Square Podiatry is a long established, professional podiatry practice in the heart of Newton Abbot. There has been a chiropody practice at this address continuously since 1953! Podiatry is the new name for Chiropody. It is grammatically more correct and is the terminology now accepted worldwide to describe this paramedical speciality. Both terms are in use at the present but the use of Chiropody will be gradually phased out. We offer a comprehensive range of traditional chiropody/podiatry treatments to alleviate or correct common foot disorders. We also offer nail surgery, some cosmetic procedures and diabetic assessments. Practitioners are registered with the Health Professions Council and have completed a three year full-time course in Podiatric medicine. All our Practitioners are fully qualified professionals and are registered with The Health and Care Professions Council and are members of the Society of Chiropodists and Podiatrists, having completed a three year full-time course in Podiatric medicine. Our podiatrists regularly attend courses for continued professional development.